Theraderm® (Theraderm) products were designed with a total understanding of skin mechanics and the causes of skin damage. That damage can often be reversed when basic skin health is restored. These products are formulated with proven ingredients that penetrate into the deepest layers of your skin, erasing fine lines and revitalizing dull skin. 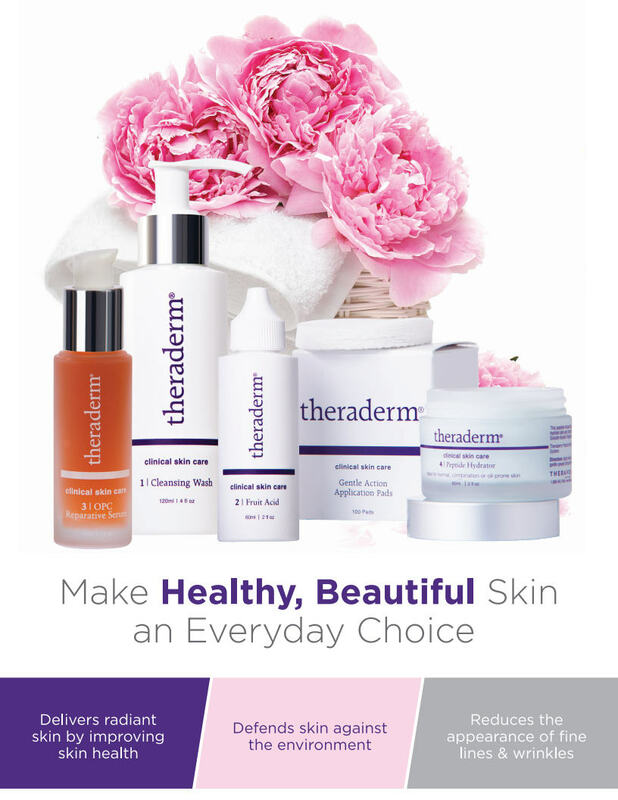 Theraderm's daily skin care line is called the Theraderm® Skin Renewal System. It's designed to restore your skin health and natural beauty while improving your skin's ability to restore itself. Additional products, based on recent advances in cellular biology, can address a wider variety of skin concerns. Ask us about products for severe wrinkles, uneven skin tone, pores, and dry skin.